After a week without Miami Dolphins' football, Miami will return to the field on Sunday as the Dolphins play host to the Buffalo Bills. The Dolphins have dropped two straight after their first 3-0 start since 2002, but with losses by the New York Jets, Tennessee Titans, Baltimore Ravens and Cleveland Browns on Sunday, Miami is sitting in sole possession of the final wild card spot in the AFC. A former Pro Bowler with the Atlanta Falcons, Clabo signed a one-year deal with Miami in the offseason with the Dolphins expecting Clabo to bring stability to a young offensive front. To this point however, Clabo has really struggled particularly in pass protection. Through five games, the Dolphins have given up 24 sacks which is tied for second most in the NFL. Miami is yielding a league-high 4.8 sacks per-contest. After a career-year in 2012, Miami safety Chris Clemons has taken a bit of a step back this season. While Clemons has been far from horrendous, Clemons hasn't made many plays yet either. Clemons is on pace for about 77 tackles, but has yet to force or recover a fumble, record a sack or an interception. 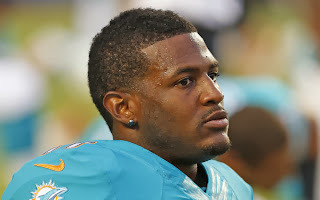 While the Dolphins are on pace to record 29 turnovers and 42 sacks, Clemons has yet to play a significant role in helping out in either category. 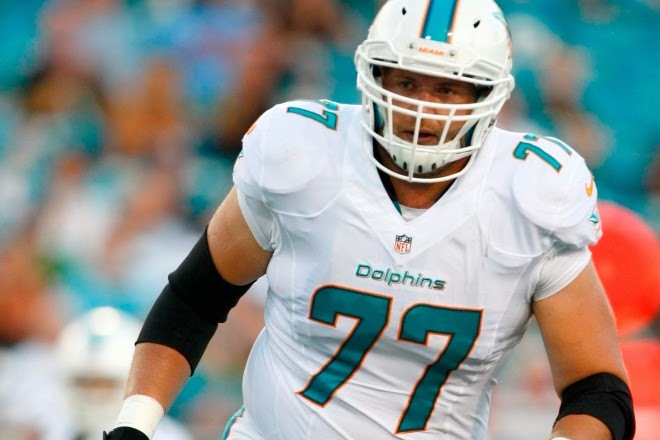 Once offseason acquisition Dustin Keller went down with a season-ending knee injury in the preseason, the Dolphins were expecting former third round pick Michael Egnew to fill some of the void at the tight end position. To this point, Egnew has done almost nothing. While starter Charles Clay has been better than anyone could have expected, Egnew has just a single catch for eight yards this season. While little has come to be expected out of third-year running back Daniel Thomas, Thomas has struggled mightily this season. Despite two rushing touchdowns on the season, Thomas is averaging just 2.6 yards-per-carry and has really struggled in pass protection, an area he was thought to have a decided edge over starter Lamar Miller. On the bright side, Thomas has yet to fumble and has made the reception each of the six times he's been targeted. The most prized signing of the offseason, Mike Wallace has just 22 receptions despite being targeted 44 times. While Wallace does have a pair of 100-yard receiving efforts, Wallace has just six combined catches for 61 yards in his other three games. Wallace also has an inordinate number of drops for a player thought to be an elite NFL receiver. Wallace ranks just fourth on the team in receptions and fourth in receiving yards with 281. Expected to be Miami's deep threat, only two of Wallace's 22 catches have gone for more than 20 yards.